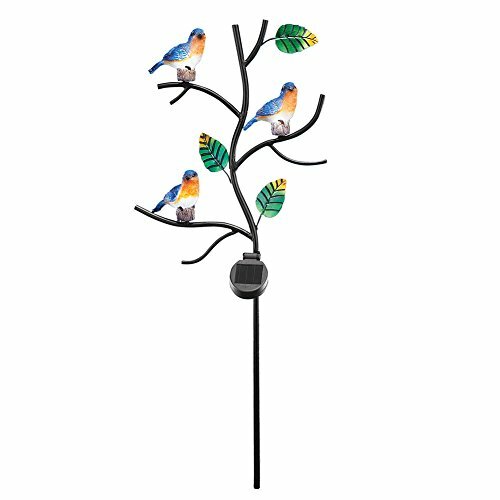 Solar-powered stake features three brightly colored bluebirds perched on branches. The birds and leaves automatically shine with solar-powered light at night. Includes 1"AAA" rechargeable battery. Plastic, resin and metal.